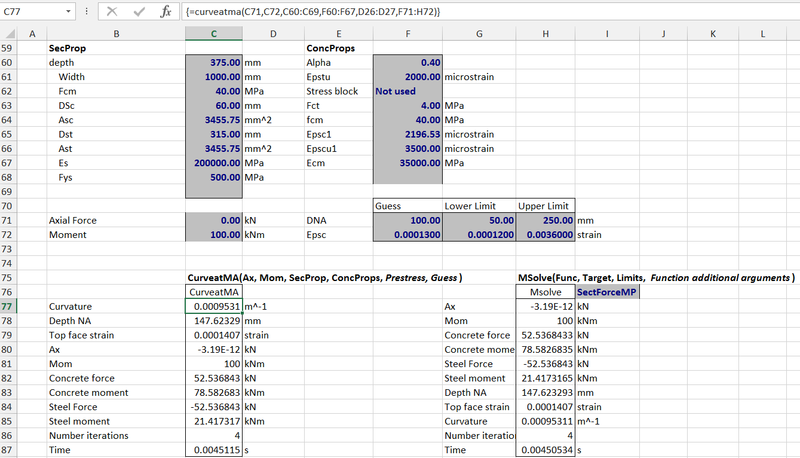 The spreadsheet includes full open source VBA code. 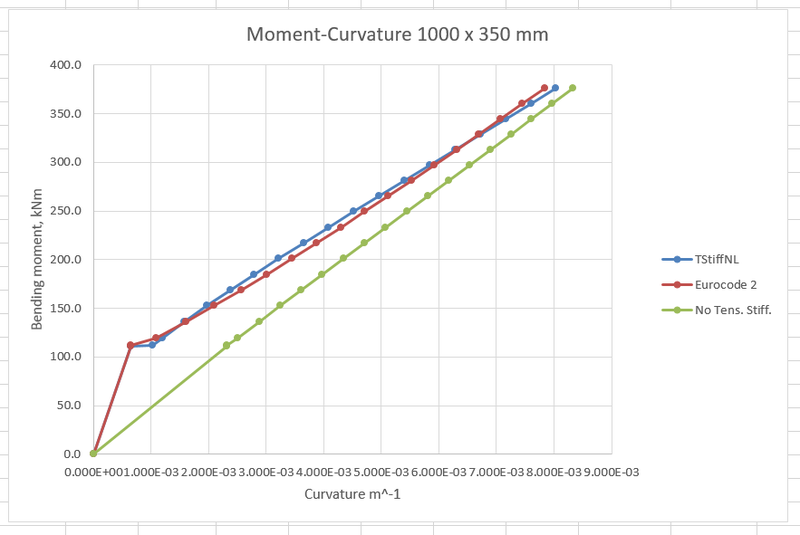 The function MomCurveTS returns a table of bending moment and curvature results (and associated output). 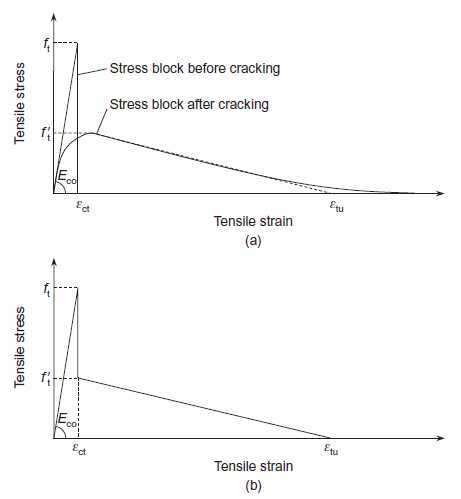 The required input is the section properties data, the axial load, and the Alpha (f’t/ft) and Epstu values defining the effective concrete behaviour in tension (see here for more details). 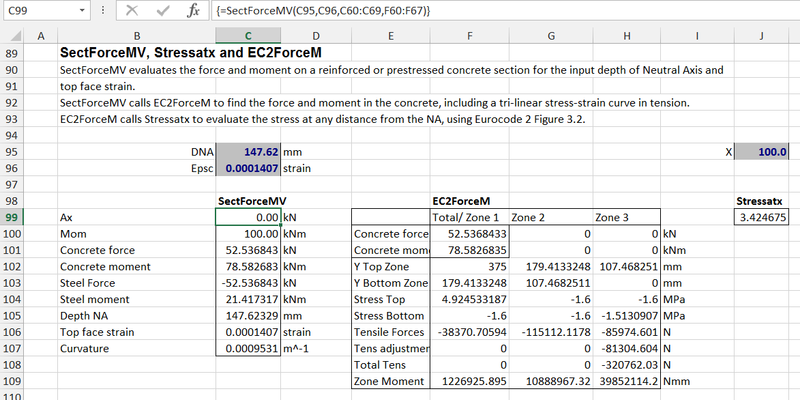 The remaining properties may be entered by the user, or enter -1 to use the Eurocode 2 default values, based on the value of fck entered under SectProps. 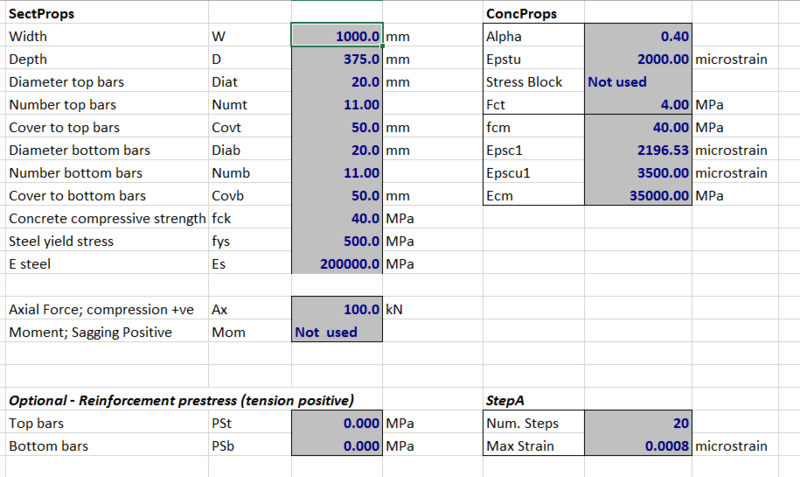 Reinforcement prestress, and the number and range of output steps may also be specified. 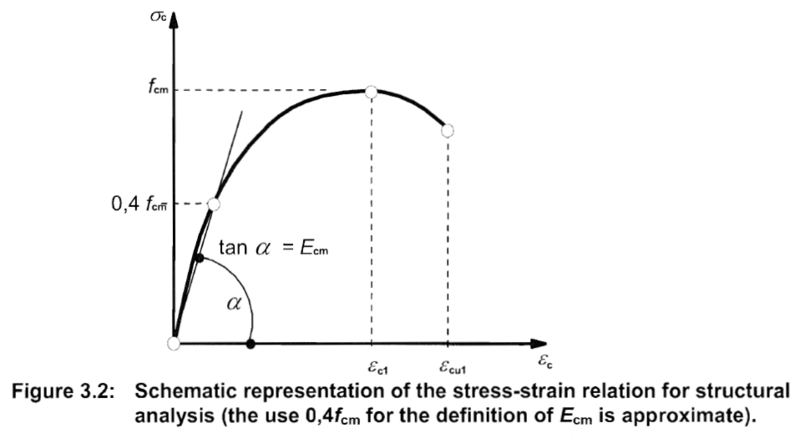 The function returns the section curvature at zero moment (which will be non-zero if eccentric prestress is applied), just below and just above the cracking moment, and then at equally spaced steps up to the compressive strain specified in StepA. The cracked curvature with no tension stiffening. 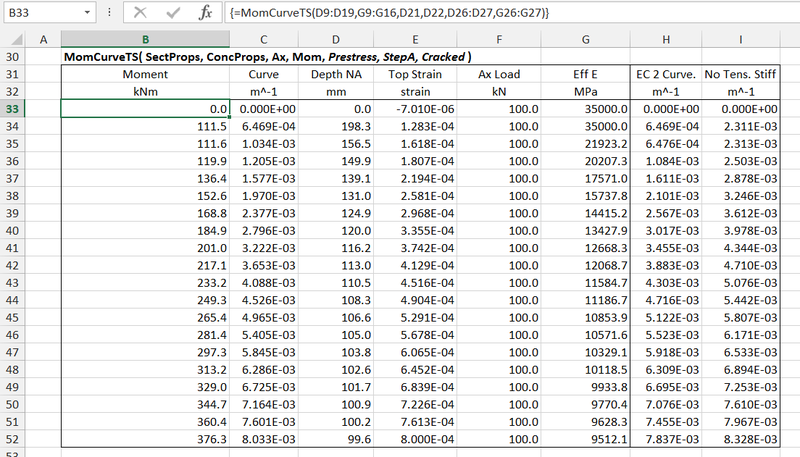 This entry was posted in Beam Bending, Concrete, Excel, Maths, Newton, UDFs, VBA and tagged Excel, moment curvature, Newton's Method, solving non-linear equations, tension stiffening, two or more objectives, two or more unknowns, UDF, VBA. Bookmark the permalink.